But EasycarLoans has created a new option, a way to buy and sell fearless without the need for dangerous reptiles and scary dads. This is the entirely new way to buy and sell used cars. Calculate your perfect budget with our simplified finance calculator. Simply complete our online application form, submit your supporting documents and one of our expert consultants will be in touch within minutes. Your allocated representative will then guide you through the loan process and facilitate the best deal for you. Better yet, they will come to your home or office for you to sign all the necessary documentation. 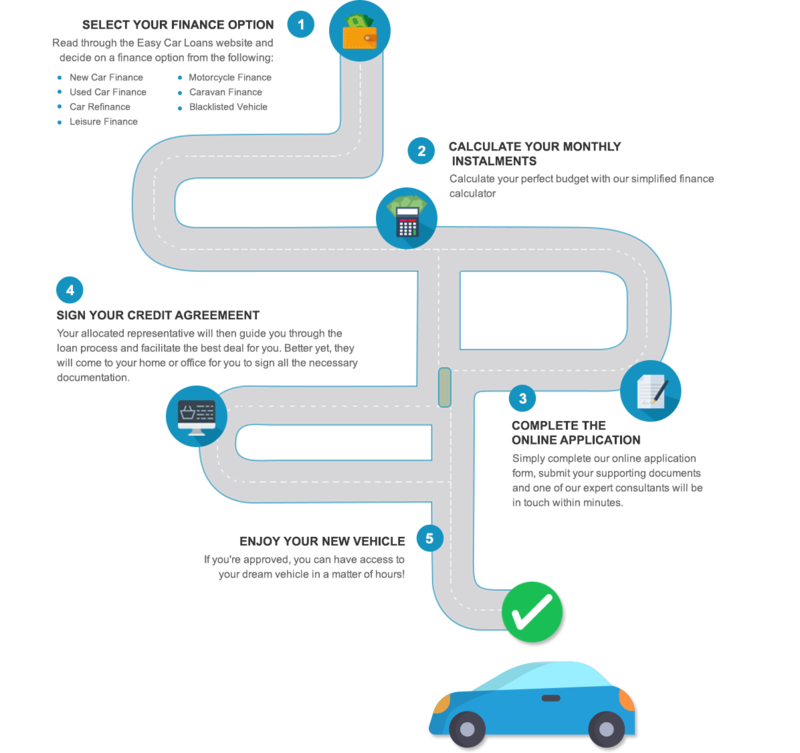 If you're approved, you can have access to your dream vehicle in a matter of hours! Easy Car Loans is a market leader in finance and the refinancing of cars, vehicles, bikes, boats, caravans and recreational vehicles throughout South Africa. Not only do we facilitate safe and secure private to private vehicle and asset finance, but with our highly competitive vehicle financing solutions, we save you money! Our online application is quick and easy, linking you to an expert consultant who will come to you, either at your place of work or home, thus ensuring that your vehicle finance experience is as smooth and pleasurable as possible. Apply online today for an affordable tailored solution so you can have access to your dream car or asset in a matter of hours!